At Caktus, we strongly believe in professional development and continued learning. We encourage our talented team to stay up to date with industry trends and technologies. During 2018, Cakti attended a number of conferences around the country. Below is a list (in alphabetical order) of the ones we found the most helpful, practical, and interesting. We look forward to attending these conferences again, and if you get the chance, we highly recommend that you check them out as well. All Things Open is a celebration and exploration of open source technology and its impact. Topics range from nuts and bolts sessions on database design and OSS languages to higher-level explorations of current trends like machine learning with Python and practical blockchain applications. The annual conference is heavily publicized in the open source community, of which Caktus is an active member. 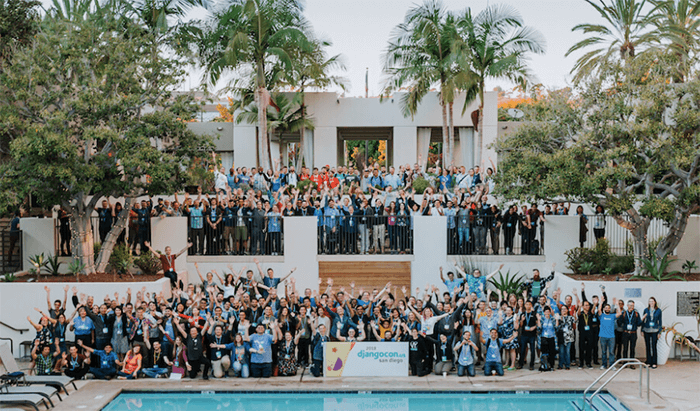 All Things Open attracts open source thought leaders from across industries, and it’s a valuable learning experience for both non-technical newbies and expert developers to gain insight into a constantly evolving field. Tim particularly enjoyed the session by expert Jordan Kasper of the Defence Digital Service about his efforts to implement open source development at the US Department of Defense with the code.mil project. It was an enlightening look at the use of open source in the federal government, including the challenges and opportunities involved. DjangoCon is the preeminent conference for Django users, and as early proponents of Django, Caktus has sponsored the conference since 2009. We always enjoy the annual celebration of all things Django, featuring presentations and workshops from veteran Djangonauts and enthusiastic beginners. David enjoyed Russell Keith-Magee’s informative and hilarious talk on navigating the complexities of time zones in computer programming. It’s rare for a conference talk to explore both the infinite complexity of a topic while also providing concrete tools to resolve the complexity as Russell did. Attending DjangoCon is a must for Django newbies and veterans alike. It’s an opportunity to sharpen your craft and explore the possibilities of our favorite framework in a fun, collaborative, and supportive environment. Read more in our conference recap post and Django Depends on You: A Takeaway from DjangoCon. 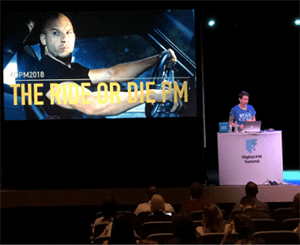 The Digital PM Summit is an annual gathering of project managers, which includes presentations, workshops, and breakout sessions focused on managing digital projects. The event is organized by the Bureau of Digital and was held in Memphis in 2018. Cakti attended and spoke at the conference in previous years; check out the highlights of Marketing Content Manager Elizabeth Michalka’s talk on investing in relationships from the 2016 conference. Each of these talks seemed to build on one another. 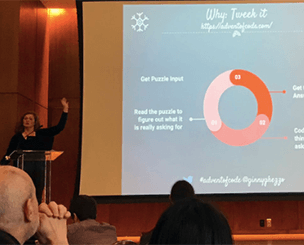 Rachel Gertz set the stage with her keynote by pointing out that the project manager is the nexus of a project. The course of a project is determined by countless small adjustments, and the PM is the one who makes those adjustments. Nine times out of 10, when a project fails, it’s because of something the PM did or didn’t do. Also a keynote, Meghan McInerney’s talk (pictured) identified the primary attributes of a PM who’s at the top of their game. They’re reliable, adaptable, and a strategic partner for their clients. When you hit this ideal, you’re the one asking stakeholders and team members hard questions about “Should we?” — and as the PM, you’re the only one who can be counted on to ask those questions. Lynn Winter’s lightning talk cautions against giving too much of yourself over to this, though. As she pointed out, the role is often made up of all the tasks that no one else wants to do, and there’s a good chance at least a few of those tasks will take a toll on you. You have to make space for yourself if you’re going to be effective. The Internet Summit is a marketing conference that attracts impressive speakers and provides opportunities to stay on top of digital marketing trends and technologies that can help drive growth and success. Internet Summit conferences are organized by Digital Summit and are also held in varies cities, in addition to Raleigh. Digital marketing is constantly changing, so it’s important to stay current. At Internet Summit, Ian heard valuable information from dozens of the country’s top digital marketers who shared current trends and best practices for using real-time data to build intelligence and improve customer interaction and engagement. Keynote speakers included marketing guru, author, and former dot-com business exec Seth Godin and founder of The Onion Scott Dikkers. These summits are key to staying on trend with how people want to be reached, and the execution strategies are, in most cases, proven. For instance, behavioral targeting tools have evolved to the point where ABM (account-based marketing) can be extremely effective when executed properly. Also meaningful for Ian was the talk Marketing Analytics: Get the Insights You Need Faster, by Matt Hertig. Ian walked away from the workshop with tangible advice on managing large volumes of data to provide meaningful insights and analysis more quickly. Colin’s favorite presentation was Have Yourself a Merry Little Notebook by Ginny Gezzo of IBM (pictured). She focused on using Python notebooks to solve https://adventofcode.com/ puzzles. The talk highlighted the value of notebooks as a tool for exploring and experimenting with problems that you don’t know how to solve. Researching solutions can easily lead in many directions, and it’s valuable to have a medium to record what you did and how you got there, and you can easily share your results with other team members. Colin has worked with Jupyter notebooks, and sees great value in their utility. For example, Caktus used them on a project with Open Data Policing to inspect merging multiple sheets of an Excel workbook in Pandas (see the project in github). 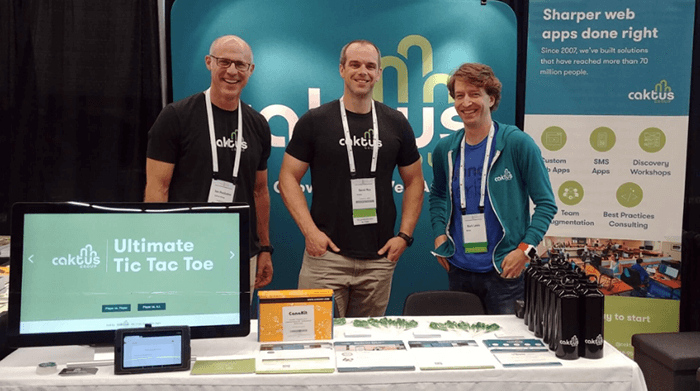 Above: The Caktus team and booth during PyCon 2018. Cakti regularly attend and sponsor PyCon. It’s the largest annual gathering of Python users and developers. The next conference will take place in Cleveland, OH, in May 2019. The event also includes an “unconference” that runs in parallel of the scheduled talks. Scott especially enjoyed these open sessions during the 2018 conference. 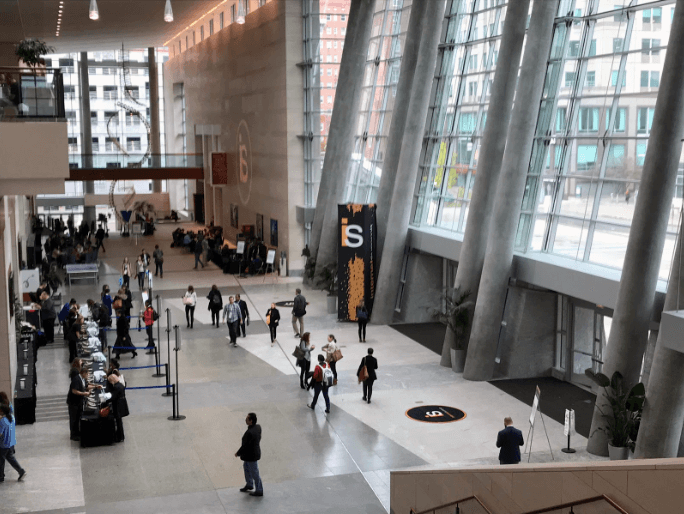 Pycon dedicates space to open sessions every year. These are informal, community-driven meetings where anybody can post a topic, with a time and place to gather. The open sessions that Scott attended covered a wide range of topics from using Python to control CNC Milling machines to how reporters can use encryption to protect sources. He also enjoyed a session on Site Reliability Engineering (SRE), which included professionals from Intel, Google, and Facebook who spoke about how they managed infrastructure at scale. TestBash was so good in 2017, that Gerald decided to attend again in 2018. The conferences are organized nationally and internationally by the Ministry of Testing, and in 2018, Gerald attended the event in San Francisco. Gerald originally learned about the event on a QA Testing forum called The Club. Read about what he loved at the 2017 conference. 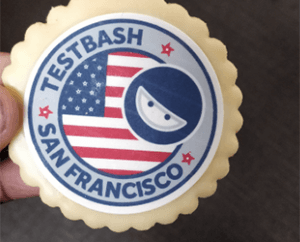 TestBash is a single-track conference providing a variety of talks that cover all areas of testing. Talks range from topics such as manual testing, automation, and machine learning, to less technical topics including work culture and quality. One particularly interesting talk was given by Paul Grizzaffi, a Principal Automation Architect at Magenic. He declared automation development is like software development. Paul talked about how the same principles used when developing features for a website can also be used when building out the automation that tests said website. Just like code is written to build a website, code is also written to create the automated scripts that run to test the website, therefore there is a valid argument for treating automation as software development. The talk highlighted the point that sometimes automation is seen as an extra tool, but it’s actually something that we build to perform a task. So when we think about it, it’s not that different from the development process one would go through when developing a new website. Paul’s talk is available on The Dojo (with a free membership), and you can read more on his blog. TestBash provides practical information that attendees can learn and take back to their teams to implement. Attendees not only learn from the speakers but also from each other by sharing their challenges and how they overcame them. It’s also a positive environment for networking and building friendships. Gerald met people at the conference who he’s stayed in touch with and who provide a lasting sounding board. We recommend these conferences and look forward to attending them again because they provide such valuable learning and networking opportunities. What conferences do you plan to attend this year? If you have any recommendations, please leave them in the comments below.